With 2 offices in Chula Vista, Dr. Mascareño has been serving the Chula Vista area for more than 17 years. Getting the right prescription for your eyeglasses or contact lenses is an important part of good eye care. But seeing clearly is just one part of your overall eye health. 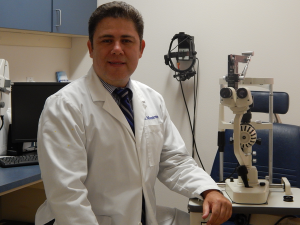 Dr. Efrain Mascareño believes in looking at the big picture when it comes to your eye health, so he takes the time to get to know you, your eye care history and your vision needs. He knows that getting the right prescription involves balancing several factors, including clear eyesight, visual efficiency and your ability to process visual information seamlessly. Whether you need a routine eye examination, an eyeglasses fitting or treatment for eye disease (such as glaucoma or macular degeneration) or eye surgery (such as LASIK or cataract surgery), we will provide you with the best care, advice, and eyewear options. 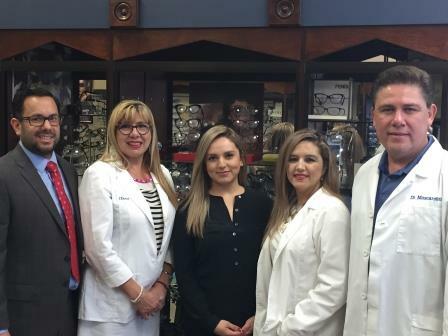 Whether you need a routine eye examination, eyeglasses fitting or treatment for eye disease (such as glaucoma or macular degeneration) or eye surgery (such as LASIK or cataract surgery), we will provide you with the best care, advice, and eyewear options. We carry the latest European and American designer eyeglass & sunglass collections in a variety of styles, colors and materials. Complete yearly eye exams are essential for children, to check eye health and vision. Book an exam today! This place have the best customer service and even though I do not live in the area anymore, I don’t mind driving to have an appointment for my check up at this office. Also they speak Spanish and that is a plus for me! Dr. Boeck explained every step of the eye exam in a way that my 12 year old son could understand. He was very patient and helpful in answering our questions. He alleviated our concerns and made our visit pleasant. Thank you Dr. Boeck and staff. I will be referring my friends and family to this esblishment! I had a great experience today getting my eyes examined for the very first time. The entire staff was very informative and friendly. 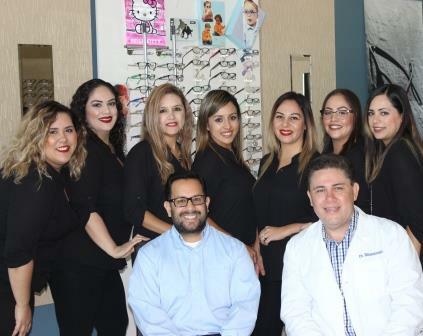 Dr. Mascareno & His Staff/Team are "Second To None" In Vision Care. I have been associated with Eastlake Vision for over 3 years & couldn't be more satisfied with the Personal Care and Professionalism I have received. Thank you ! I recently ordered a pair of glasses here and I was very impressed with the level of customer service. They made sure the glasses I ordered met all my requirements and they took the time to explain the differences. I left the store completely satisfied that I got the right glasses at the right price. I have been a patient at Eastlake Vision for several years. They are accomodating, spend time with you and have a great selection of frames. Dr. Mascareno is a knowledgeable doctor and will answer all of your questions. They are a great choice for me and my family! TRICARE members now they can enroll in VSP vision care.